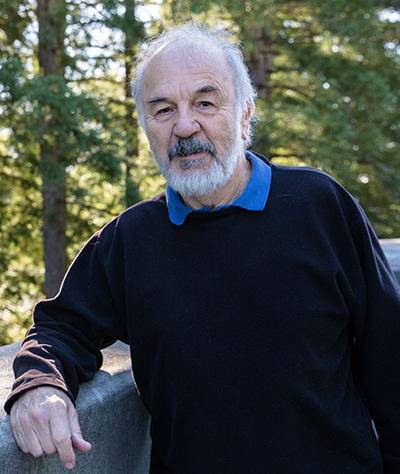 Harry Noller, the Robert L. Sinsheimer Professor of Molecular Biology at UC Santa Cruz, has been chosen by the Biophysical Society (BPS) to receive its 2019 Ignacio Tinoco Award. Noller will be honored at the society’s annual meeting at the Baltimore Convention Center on March 5, 2019, during the annual awards symposium. The award recognizes Noller for his groundbreaking studies of the structure, dynamics, and function of the ribosome and his outstanding mentorship and training of scores of undergraduate, graduate, and postdoctoral researchers. The Ignacio “Nacho” Tinoco Award honors the scientific contributions, work, and life of an outstanding biophysical chemist, educator, and mentor. Noller directs the Center for Molecular Biology of RNA at UC Santa Cruz. His research is concerned with the structure and function of ribosomes, the protein factories of all living cells and an important target for antibiotics. Work in Noller's lab has led to the elucidation of the structure of the complete ribosome, showing its interactions with other molecules and demonstrating that the ribosome is a macromolecular machine whose functional properties are based on RNA rather than protein. He has received many honors for his work, including the 2017 Breakthrough Prize in Life Sciences and the Lewis S. Rosenstiel Award for Distinguished Work in Basic Medical Science. He was elected to the National Academy of Sciences in 1992. Tinoco’s contributions to the spectroscopic, thermodynamic, structural, and single-molecule study of biopolymers consistently deepened the understanding of fundamental biophysical principles, constantly moving the field toward new frontiers. Through his unconditional devotion to science, he established a highly cooperative, generous, inclusive, and friendly environment for scientific discovery and advancement. The Tinoco Award recognizes meritorious investigators who make fundamental contributions to the physical chemistry of biopolymers or who actively promote and sustain a collaborative, inclusive, and engaging research environment in the field. The Biophysical Society, founded in 1958, is a professional, scientific society established to encourage development and dissemination of knowledge in biophysics.